Surprise, surprise, those selfish, narcissistic, avocado eating millennials (we're being ironic, obviously, the writer is one of them) don’t want your hand me down furniture and family heirlooms. According to a new survey, 76 per cent of Generation Z aren’t interested in furniture that has been passed down from parents and grandparents. 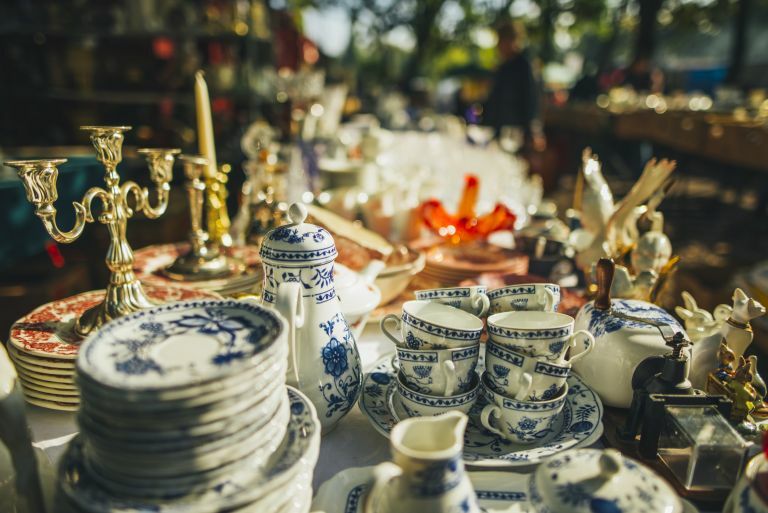 Apparently, in the world of Marie Kondo, speed cleaning and minimalist interiors, millennials see no place for heavy brown furniture, silver tea sets and Wedgwood vases. And we aren’t just talking metaphorically here, some millennials (literally) do not have the space to keep heirlooms. Once upon a time, pieces were invested in, with the idea that they would be kept in the family, passed down for generations. But for a whole host of different cultural, social and economic reasons this just isn’t the case anymore. Most millennials want cheap, disposable, flat pack furniture – they just aren’t thinking about their grandchildren when they buy their Malm bedroom set. Of course there is also a tendency for Generation Z to value life experiences over physical things. Their worlds are made up of renting, travelling and moving, and there is little room for crystal wine glasses and fine porcelain china. This is probably why the survey revealed that millennials would just rather be given smaller, more sentimental items. When asked what they would most like to receive as an heirloom, the majority said jewellery (68.41 per cent), followed by old photographs (32.12 per cent) and letters or diaries (9.58 per cent). Open the conversation early, preferably before things get too emotional. If your parents are downsizing and you can see where things are heading, make sure you have a conversation before they actually move and just let them know your home won’t become their storage unit. Help out with moving or clearing out, that way you will have more say in where everything ends up and will just make the situation easier for everyone involved. Make a big fuss over the items you do want, make it clear how much they mean emotionally to you and then the other losses won't be noticed as much. Take pictures of the items you can't accept and write down the story behind them or your memories of them on the back. Always weigh the inconvenience of accepting an item against the pleasure it would bring someone for you to have it. If your family wants to pass down your grandmother's wedding dress. Just. Take. It.